The Missing Story I Would Most Like to See Returned to the BBC Archive. I would say The Moonbase except that from the episodes we have I fear it would be a disappointment. I have held the Target novel in too high regard for too long. 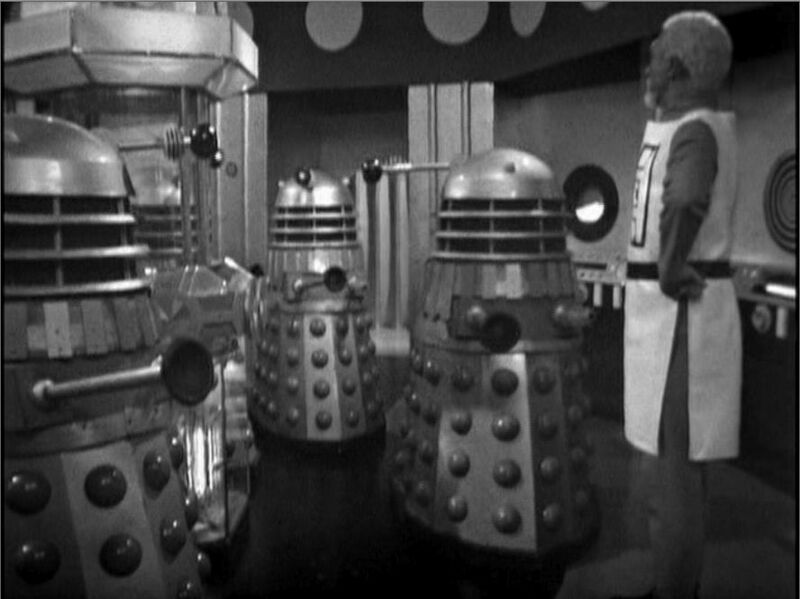 The story I'd really love to watch would be The Daleks' Master Plan. It seems as if it would be a better version of The Chase. I enjoyed The Chase for all the cheesiness it was a fun watch. My dad has told me of The Daleks' Master Plan from when he watched it. His memories make me rue it's loss. These things are always the ultimate classic until they get rediscovered. Though my dad isn't that in awe of it I would like the chance to enjoy or be a little disappointed by it. Even if it is a Steven story. It has after all got Jean Marsh in it. Interesting. Not my first choice but it's not far down the list. When we listened to it for the podcast we were surprised at how strong it was. I certainly wouldn't grumble if they found it. Perhaps the Gods of Nostalgia TV would let us swap it for The Space Museum...?